The FK-Leichtflugzeuge FK-9 is a product of B&F Technik Vertriebs GmbH. Production of the airframes takes place in Krosno, Poland; assembly of the airframes and the final production of the aircraft in the factory in Speyer in Germany. Introduced in 1989, the FK9 was a combined design of Otto, and his son Peter. The 2-seat FK9 utilized the wing concept of the FK6. To build the FK9 Peter Funk founded in 1990, together with his partner Dirk Breitkreuz, the company B&F Technik. Production of the FK9 Mk.1 begun in the following year. About 40 MLA's of FK9 Mk 1 version were built until the airplane was re-designed and replaced in production in 1995 by the FK9 Mk 2 version. 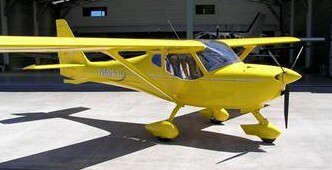 The FK9 Mark 2 shares its wings with the microlight motor glider FK3, complete with the complex flap and aileron controls, but uses a welded steel spaceframe fuselage. Both the Rotax 503 and 582 are suitable. The FK.9 Mk 3 appearened in 1997. The Mark 3 is a Mark 2 with a composite fuselage. The shell is stressed to take a Rotax 912. Fk-Lightplanes is the first manufacturer to offer the Mercedes engine system in a serial aircraft. For this the FK9 Smart was created. This design is not just an FK9 fitted with a Mercedes Smart engine. This concept uses the lightweight FK9 Utility airframe, with more sophisticated paintwork and furnishings than the basic version. The streamlined technology implemented includes practical systems and instruments; superfluous details have been deliberately excluded. Configuration and equipment are serial installations but the plane comes ready to fly. This allows a serial price that is below a similarly equipped Rotax FK9.